POWELL RIVER, BC – Townsite Brewing has announced the return of a beer that was previously released in 2016 as part of the Hulks Series of limited edition beers inspired by the group of ships that make up a floating breakwater in the Powell River near the brewery. Born a pale ale, raised by a Belgian yeast strain, refined in the foeder by a propagation of 6 (count em’) 6 Brettanomyces strains, and engaged with a dry hopping of Simcoe and Cascade. 2018’s version of Peralta is all grown up! Wonderfully complex with citrusy aromatics, this is the one for those top shelf craft beer connoisseurs. 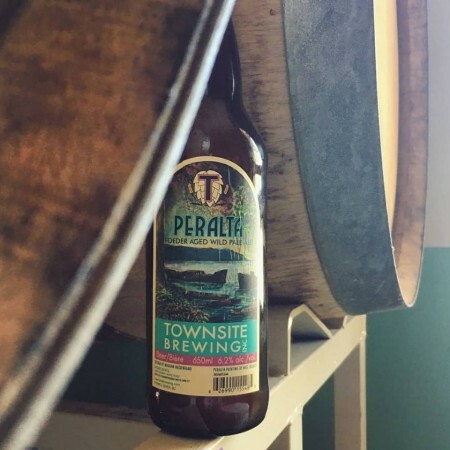 The new edition of Peralta is available now in the Townsite Brewing taproom and retail store.